Why do Methodists so often emphasize the need for a “Catholic Spirit” when we come together for internal conversation as Methodists? More than two years ago, I wrote a post about Wesley’s sermon “Catholic Spirit,” and the ways it is often misused in contemporary Methodism. Writing that post got at part of what has concerned me about recent appeals to this particular sermon. But there was something else that continued to bother me that I am just starting to try to articulate. Why is it that when Methodists come together for Annual Conference and General Conference, meetings that are by definition for insiders, so often the focus is on what it means to be Christian, broadly speaking, instead of focusing more specifically on what it means to be a Methodist Christian? 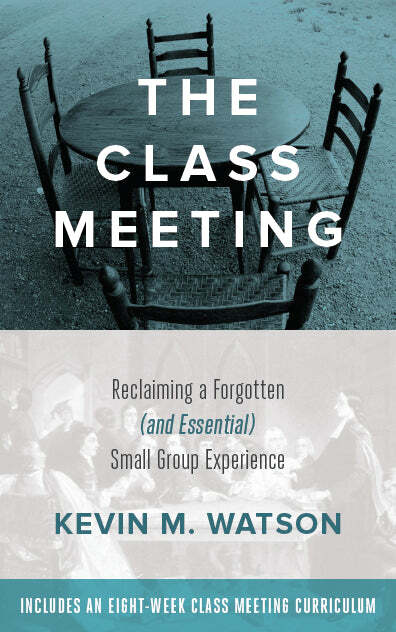 When early Methodists gathered at the first conferences, they talked about “What to teach?” “How to teach?” and “What to do, how to regulate our doctrine, discipline, and practice.” They answered these questions with specificity and often explicitly explored the extent of agreement they had with others, as well as where exactly the disagreement was. These conversations were focused on sharpening the particular doctrinal commitments that the people called Methodists had. They were not focused on watering down the importance of particularity or clarity about who they were and what they believed as Methodists. My impression in reading the “Minutes” of early Methodist conferences is that Methodists were talking about basic Christian doctrine. But they were doing so with the kind of specificity that led them to begin to note points of emphasis that were different from other contemporary Christian communities. They asked questions like, “Have we not then unawares leaned too much towards Calvinism?” And so in early Methodist “Minutes” of Conferences, you find Wesley and his followers wrestling with areas of agreement and points of disagreement with other Christians. Today, Methodists commonly protest such doctrinal specificity, arguing that we should not be overly concerned about these kinds of precise doctrinal conversations, because doctrine is divisive. The concern that doctrine is divisive is powerful at a very basic level, because it describes what can happen when we are honest about what we believe and how important we think believing specific things is. Beliefs can lead to division. It is not always true, but it can be true. But it is only true in the sense that it describes what is the case. People often assume that this description necessarily leads to a prescription, namely, that doctrine is bad or harmful because it leads to division. Further, there is an assumption that simply avoiding doctrinal specificity will necessarily lead to unity. The alternative to specificity about doctrinal commitments, however, is not the virtue of unity. The alternative to doctrinal clarity is theological incoherence. I suspect it has been unintentional, but calls to downplay the importance of doctrine sometimes sound like a call to be less passionate about things that have long been viewed as essential Christian beliefs. Such calls also ignore the conviction that doctrine is not intended to divide, but to unite around one coherent and identifiable faith. Finally, and perhaps most importantly: Asserting that doctrine is divisive and that clergy should not have to affirm certain doctrines is itself a belief. The logic that criticizes commitment to orthodoxy because it is divisive seems to fall on its own logic. Arguing that doctrine is unimportant is a belief. And it is one that is divisive, because many people passionately believe that doctrine is not only important but an essential healing balm that enables us to know God, to love God, and to know how then we shall live. On what grounds can one argue, then, that doctrinal commitments should be rejected because they are divisive? I think Methodists are often tempted to divert attention from doctrinal distinctiveness, or specificity, because they are afraid that doing so will further damage the fragile unity that has characterized United Methodism from its beginning. But, when Methodists primarily focus on “Catholic Spirit” and basic Christian affirmations at the level of Annual and General Conference we are being a bit pretentious. It seems like we are acting like we are the entire Church, when the reality is that we are only one small part of it. We don’t have to talk at Conferences in ways that include all Christians, because we are not The Church. I am grateful for The United Methodist Church, for Wesleyan theology, and for the method that gave Methodism its name. But we are only part of a greater whole. In other words, our primary focus when we come together at Annual Conference doesn’t need to be on figuring out how big of a tent we can pitch, because we aren’t the whole Christian tent. Exhorting one another to cultivate a “Catholic Spirit” in our time together as The United Methodist Church is precisely backwards. At Annual Conference and General Conference, we should be refining what it is that we believe as one part of Christ’s Body in the world. We should wrestle with where the points of departure are of Methodist theology and various other Christian communities. Please don’t misunderstand me. We should continue cultivating a “Catholic Spirit.” UM pastors should reach out in their communities to pastors from other denominations, seeking to work together with people in their specific contexts whose “heart is right, as my heart is with thy heart.” And they should rejoice to work together with Christians outside of United Methodism, to explore the ways in which they can cooperate in ministry. And United Methodists should continue to seek ways for greater cooperation at the denominational level with other parts of our family as Christians. We should be passionate about finding ways to express the reality that the Church is one, holy, catholic, and apostolic. But we best express a “Catholic Spirit” when we know who we are. United Methodism has a theological identity, but it often seems embarrassed by it. Methodists often go to great lengths to distance themselves from the particularities of what The UMC says we believe. When Methodists gather together at Methodists gatherings we should not act like we are the entire Church. We should instead see if we can, by the grace of God, make a bit of progress in figuring out who God is calling us to be as a particular part of the Church in this time and place. In doing so, may we discover that doctrine is not an enemy that threatens to divide us, but is essential to being united in worshiping God the Father, Son, and Holy Spirit and learning to love our neighbor as ourselves. “Minutes” of 1749; in The Bicentennial Edition of the Works of John Wesley, vol. 10: 778. John Wesley, “Catholic Spirit”; in Bicentennial Edition of the Works of John Wesley, vol 2:89. Amen. Great post David. I was raised in the UMC and then later on spent time in evangelical circles before returning to the UMC to serve as a pastor. I appreciate a lot of things in the UMC but I really miss the deep conversations I had about doctrine among non-denom’s, Baptists, and Bible church people. Those conversations actually were a major influence on me returning to the UMC. But now that I’m in, it seems that nobody wants to talk about the doctrine that lead me here. It makes no sense to me. In my Annual Conference, the resolutions tend to focus NOT on “doctrine” but on divisive social issues NOT addressed by either “basic Christian” doctrine OR “distinctive” Methodist/Wesleyan doctrine. Kevin in your research do you find any implications to the questions posed and answered in the early methodist church? How did those discussions work their way into churches is my question. Within the denomination there is an incomplete understanding of Wesley’s “Catholic Spirit”; the first half of the sermon is alive and well without an understanding of the second half of the sermon which describes a person truly of the catholic spirit. 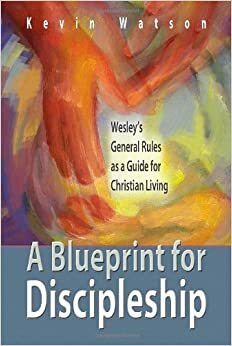 Given that Wesley drew a pretty hard line when it came to Calvinism, it is obvious that he never intended for the catholic spirit to be an excuse to allow different doctrines to have equal weight within the same denomination. I am to the point that, unless the UMC can reclaim its unique contribution to the Christian landscape, there is no reason for its existence.